Blooms, bubbles and babes. A birthday celebration just isn't complete without them. 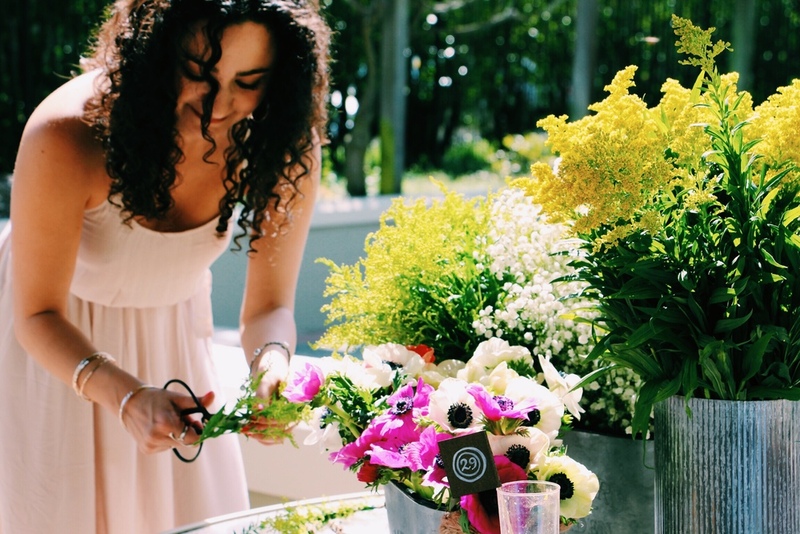 A fresh fruit mimosa bar, brunch bites, sweet treats and a flower crown making workshop to celebrate Dani's birthday. Fresh fruit mimosa bar with handmade Happy Birthday Dani flags. Salmon cucumber poppers with cream cheese and fresh dill. Wedge salad skewers with blue cheese dressing and freshly prepared Natural Sunday Bacon crumbles. My absolute favorite chocolate bars from Alter Eco (the packaging is gorgeous! ), homemade bacon wrapped dates, and sprinkle cake donuts. Interested in booking your own flower crown workshop // send all booking inquiries here. Blooms + Bubbles + Babes // send all booking inquiries here.